The defining characteristic of a migraine is an intense pain that may be related to dilation of blood vessels in the head. Symptoms include visual blurring, sensitivity to light and sound, nausea, and vomiting. A migraine, as distinct from a stress headache, is usually one-sided and typically lasts for two or three days. I was diagnosed with migraines in my early twenties. Over the years I was prescribed medications: One, ergot-derived, did little for the pain and made me throw up; another helped the pain somewhat but wiped me out. Even with medication my headaches lasted for three days, occasionally longer, and by the time I was in my mid-twenties and in a graduate program at Harvard Divinity School, I could expect to have at least two in any given month. When one hit, about all I could do was lie in a darkened room with my eyes covered, not unlike poor Lillie—hardly a winning strategy for academic success. I visited the student health service and received a trial dose of something. I took it at the onset of the next headache, and the pain quickly vanished. “What was that? I want a prescription!” I told them. “Oh no,” they said, “that was morphine. We can't prescribe morphine for you. We just wanted to see what would happen.” They refilled my prescription for Fiorinol (the one that helped a little but spaced me out) and advised me to reduce stress in my life. This was good advice. Migraine triggers include stress and hormonal changes. Many women are more prone to migraines before or during their menstrual periods. For some people, certain foods, alcohol, or caffeine can bring on a migraine. In Yoga As Medicine, Timothy McCall identifies stress and muscle tension in the head, neck, and back as possible triggers for migraines; many people find relief through a back-centered practice when their headaches are not active. After I was advised to reduce my stress level, a friend told me she had started taking Iyengar yoga classes and invited me to join her. I had practiced yoga in my early teens, before I had migraines. I hadn't done any regular practice for several years and couldn’t envision how it would help, but I was willing to try anything, and the idea of doing yoga again appealed to me. I went to class. I kept going to class, and gradually my headaches became less frequent and less severe. That first class put me in touch with muscles I had forgotten I had. The pose that stands out from that class is supta padangusthasana III, with its intense (for me) stretch of the glutes and piriformis; I still remember how amazing it felt. (That and pigeon pose have become my lifelong friends—not necessarily to help my headaches but as part of my ongoing practice.) I kept going to class, and gradually my headaches became less frequent and less severe. After a while, although they still lasted three days, I could manage the pain with over-the-counter meds, selected “yoga hacks,” and certain lifestyle strategies. Many years later, I realized one day that the headaches had vanished, but in the meantime these strategies helped me function. 1. 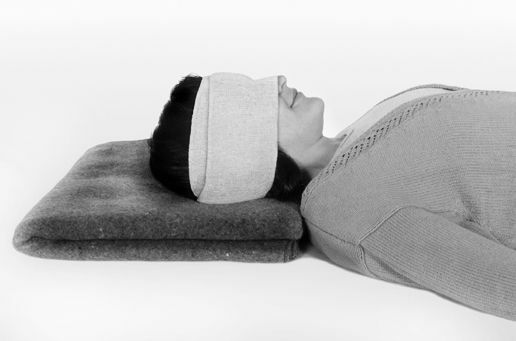 Wrap your head in an elastic bandage and lie in supported savasana. Sit up to put your headwrap in place. In India, the ideal bandages are sold as “varicose vein bandages,” but any elastic bandage about 4” wide will be fine. Start with it rolled up, holding the loose end toward your face. Stretch the bandage so it will be somewhat tight when in place but not so tight that it makes your eyes feel constricted. Place the loose end over your ear (left ear, for me, since I'm right handed) and hold it there. Unroll it across your eyes (not your nose! ), making sure it doesn't create an unpleasant sense of pressure on the eyes. Bring it around your head, still at ear level. You can remove the hand that was holding the bandage as you catch the loose end with the next layer. Bring this layer up over your forehead and down across the base of the skull. 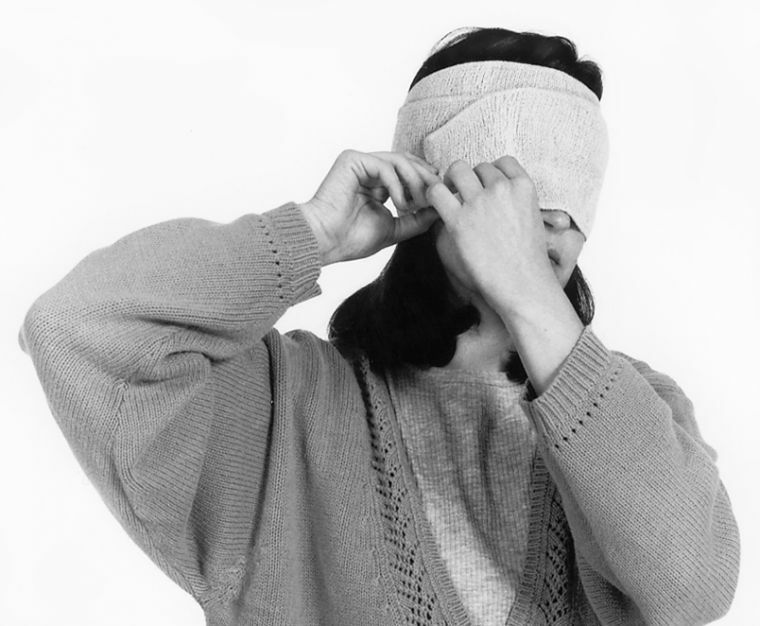 Keep covering your eyes, ears, forehead, and occiput till the bandage runs out; then tuck the edge in. To avoid the “princess and the pea” effect, tuck it someplace so that you won't be lying on it. Now, lie down with the bolster or blanket roll under your knees and a blanket, towel, or pillow under your head so that your forehead is slightly higher than your chin. This position helps to relax the muscles of your back and neck, while the bandage provides a welcome counter-pressure to the engorged blood vessels in your head. I found that, if I did this early enough, and if I could go to sleep in this position, when I woke up, my headache would be far less severe or even gone. You could hold hot water bottles or heated eye pillows in each palm, or if that's too complicated when you feel so awful, just visualize your palms growing warmer. Evoke the body memory of wrapping your hands around a warm, smooth cup of some comforting hot liquid; let the warmth penetrate the palms and hands and steal gradually up the arms to the shoulders. This simple exercise can help to relax the arms and shoulders, evoke a sense of comfort and well-being, and seems to relieve some of the tension contributing to the pain. I'm sure it would work to visualize your feet getting warm, too, but I tend to carry tension in my hands so they became my go-to body part for relaxation exercises. These two simple yoga-based relaxation techniques can go a long way toward relieving the pain of an existing headache. However, the Yoga Sutra tells us, “Heyam dukham anagatam”—pain that has not yet come can be avoided. Here are some ways you might try to avoid the pain of future migraines. 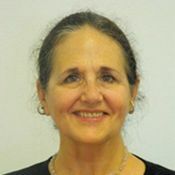 ‌• My friend Beth, a yogini and fellow migraine sufferer, swears that a gentle kapalabhati practice has helped her stave off headaches if she begins the practice the instant she senses the headache approaching. ‌• Discover the circumstances in which your pain arises, and learn the subtle pre-symptoms that signal its onset. Avoid everything that brings you toward that pain. Don't be overly concerned about inconveniencing other people; put self-care first. Maybe you're exhausted by too much activity, by multitasking, by excessive heat or cold, or by too much talking and social interaction. Learn your ayurvedic constitution and follow the recommendations for a healthy diet and lifestyle for you, remembering that what a kapha type finds pleasantly stimulating may send a vata type diving under the covers with a sick headache. ‌• Get enough rest. If you even suspect that you are heading for a migraine attack, don't exert yourself physically. Substitute a restorative sequence for your active asana practice. Spend time in supported poses such as legs up the wall, supported reclining bound angle pose, shoulderstand in a chair, and forward bends with your head supported. Practice a few of these with your head wrapped. ‌• Reassess your relationship with caffeine, and drink enough water to stay hydrated. ‌• Develop or re-commit to a meditation practice. Learn to redirect your attention from the pain to your chosen devotional object. ‌• Do your best to develop a non-adversarial relationship with your pain. Migraine headaches are not your enemy; they are signals that something is out of balance, that something needs loving attention. Trying to conquer your migraines or override their influence with strong medications may allow you to push through a deadline, but it will not reduce the stress in your life or lessen your long-term suffering. Your body is very intelligent; it wants to be whole and in balance, and chronic illnesses like migraines may be one way it tries to communicate its needs. I was disappointed, to put it mildly, when the health service refused to give me morphine, but today I'm grateful. If they had, I would have used it to override my pain, and it probably would have taken me much longer to return to yoga. Yoga taught me to observe my body and mind compassionately and objectively, to align my energies with my body's natural healing forces, and to stop pushing myself so hard. Slowly, over time, with regular restorative and pranayama practices, my chronic migraines have gone away. I wish I could publish a set of asanas guaranteed to cure your migraine, but I am pretty sure there is no one-size-fits-all practice. While there are medications that can help override symptoms (thank goodness), real healing involves the kind of transformation that comes from a long-term, dedicated, kind personal practice.